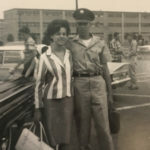 “When I bought my last truck, I told the salesperson I was with DAV, and he said, ‘Well, you’re eligible to save a lot of money.’ And he was right,” said Past National Commander Jim Sursely. Sursely is referring to one of the many lucrative advantages available to veterans who sign up for DAV membership. In his case, working with longtime DAV partner Ford Motor Co., he was able to achieve extensive savings toward the purchase of selected new vehicles through the company’s Ford X-Plan. “I’ve used the Ford X-Plan toward the purchase of a new vehicle twice, once in 2006 and once in 2016,” said Sursely, a triple amputee. “Both times, I also took advantage of the $1,000 credit Ford offers for adaptive equipment in the vehicle. Another perk available for members comes from USAA. 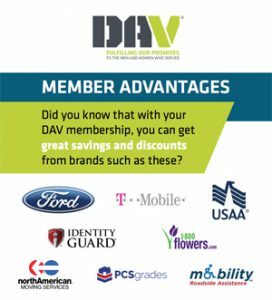 Members receive immediate benefits by using the DAV USAA credit card, according to USAA’s website. In addition to USAA’s dynamic, industry-leading customer service, the company donates back to DAV each time a new DAV credit card is opened and when it’s used for purchases. 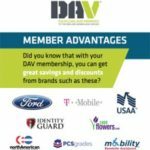 DAV partner T-Mobile offers members savings on the company’s products and services as well as a $50 Visa gift card and $25 in additional benefits for each new activated line. “Business Mobility Partners, a T-Mobile Premier Partner, is extremely proud to be part of DAV’s mission to support veterans,” said Steve Daneshgar, chief operating officer. Another advantage comes from an organization that specializes in keeping members’ credit information and identify safe—Identity Guard. Another value in joining DAV is staying apprised of the critical and ongoing fight of protecting the benefits veterans earned through their service to our nation. To join DAV or learn more about member advantages, visit dav.org/membership/member-advantages.